Please click here to see the class allocation for the summer 2019 term of learn to swim lessons. Please pay £57.75 per swimmer, to account ended 9268 by 25th April. The final lesson of this term is Sunday 14th April and lessons restart on Tuesday 30th April. Please email Dana with any queries. Well done to our junior league team on an outstanding team performance tonight to win the first round at Newbold Comyn. Many thanks to the officials, coaches and volunteers who helped run tonight's gala. The last lesson of this term is Tuesday 10 April. The summer term of eleven weeks starts on Tuesday on 30 April and finishes on 16 July. There is no swimming on Tuesday 28 May. All current swimmers are able to re enrol . Please pay £63.25 to account ended 9268 by 15 April to secure a place. 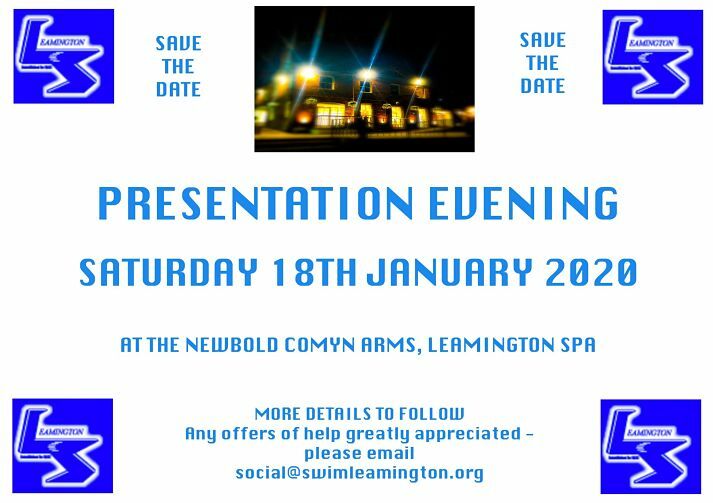 Any queries please e mail Dana via treasurer@swimleamington.org . I would be grateful if you would let me know if your son/daughter no longer requires a place. All sessions are cancelled on Friday !9 , Saturday 20 and Monday 22 April. The session at Warwick Boys is cancelled on Sunday 21 April, however the session at Coventry is still on. Congratulations to Lola Knightley, William Everest and Andre Onyekwe on being selected onto the County Pathway 2019, the first steps to success. We are pleased to announce LSASC has received confirmation from Swim England that is has successfully retained it's SwimMark Accreditation . SwimMark is the Swim Engalnd's recognised kite mark for the development of effective, ethical and sustainable affiliated clubs. It provides national recognition the club is providing the highest quality of swimming for our swimmers, and enables the development of all swimmers, teachers, coaches and all involved in the delivery of the swimming programme. This is a significant achievement for the club and the Committee would like to thank all involved for their contribution and hard work to securing the accreditation. Can we remind everyone about the easyfundraising website, sign up by using the link below or click on from the LSASC website. It's the easiest way to help raise funds for the club without putting your hand in your pocket. It's free to join and they won't ask you for any credit card details. Just your name and email address along with a password. Once you have registered you can shop using the links on the easyfundraising website to take you to the retailer and every time you shop LSASC get a little and at no extra cost to you. Fantastic! Please click here to read a document from the club welfare officer in relation to behaviour and supervision in the changing rooms. The club are pleased to announce that Louise Curley is to become our resident club Physiotherapist. For more details on Louise please click here. To ensure the welfare and safety of swimmers, the Club has produced some guidelines on the drop-off and collection of swimmers. Please can we ask parents and carers to read the following policy which can also be found on the Club's website. Part of the criteria for a squad swimmer is to compete in target meets selected for your squad. From February 2015 target meets will be clearly marked and gala sessions will be included in the attendance criteria. For each gala session, 2 hours will be added to the available hours and every swimmer attending a session will be given an attendance mark. Swimmers who entered the session but do not attend will not receive a mark. Swimmers who attend but do not compete in all entered events will only receive half a mark. If a normal squad session occurs on the day of the gala this will be cancelled as all swimmers should be at the gala. If a swimmer has made the qualifying times and entered the gala but has subsequently been rejected by the meet organisers, they will still receive an attendance mark if they were rejected from all entered events within a session. A member of the Club's squads has a serious nut and seed allergy. If she comes into contact with traces of nuts and some seeds she risks an allergic reaction which could result in anaphylactic shock. We would be grateful therefore if parents and swimmers could be aware of this and ask that you avoid bringing snacks containing nuts and seeds to galas. Thank you for your cooperation. A huge congratulations to all the swimmers who swam in the junior league practice gala . A fantastic result saw Leamington win by 25 points from Nuneaton with an outstanding team performance . A special mention to the 9 year old swimmers,representing the club for the first time, who showed no signs of nerves and all played their part in a superb team performance. British Championship qualifying times in 100 free and 50 fly for Molly Quelch and 100 free for Laura Griffiths. Congratulations to Laura Griffiths on being selected to represent West Midland Swimming for the 2nd year at the Amiens Open meet in France. Good Luck Laura from everyone at L.S.A.S.C. Good luck to the following swimmers competing over the weekend at the Winter S/C Championships in Sheffield. Good luck girls from everyone at L.S.A.S.C. Well done to all of our Arena League swimmers who swam in all 3 rounds. In the regional final we finished 4th, finishing 3rd in the League 2018. A fantastic achievement from everyone. Well done to all of the swimmers that competed at the Midland Short course Championships in Nottingham. 4x100 Medley relay team of Abbey Jolley, Maddison Nuttall, Molly Quelch and Laura Griffiths won bronze medal and set a new New County Record. Well done to our Arena League team who got off to a flying start. 4x100 Medley relay Abby, Maddison, Molly, Laura, finished just outside their entry time. Fantastic swimming from Abby Jolley who swam 50 bk PB of 30.96 qualifying joint 5th for the final and then swimming another PB of 30.80 to finish 6th in the final. Now having a taste for it Abby swam a new PB of 1.06.23 in the 100 BK qualifying 3rd fastest for the final and swam a new PB of 1:06:02 to finish in 3rd place and take a well deserved bronze medal. You are all a credit to the club. Well done to all of our Mercian League swimmers who finished well placed in 2nd, which is a great result with so many swimmers having to swim up an age. 4x100 free and 4x100 Medley teams at British Championships 2018. Swimmers for these 2 relays will be selected after 31st May based on ranking times, fitness levels and training commitment. Well done to all of the swimmers for a solid start against tough competition, great swimming by all the team! Well done to our 2017 Arena League Team finishing 4th in the West Midlands Final. All of that hard work paid off. Congratulations to our Arena League team and everyone connected with L.S.A.S.C. on reaching the Regional Final for the first time. Round 2 Saturday 11th November. A huge well done to the Inter-League team who competed at Newcastle in the Northern Inter-League final. The team gave an outstanding performance against some very tough competition with excellent racing all round. It was a very close finish and we narrowly missed out on qualifying for the Grand Final. Inter League Here We Come! A nerve racking gala saw an outstanding performance by the whole team with everyone stepping up to the mark and swimming at their best, the coaches are very proud of you all. After finishing 3rd for the last two years in a row, it is a fantastic result to finish 2nd in the league which takes us to the Inter League for the first time as a club. A huge congratulations to the whole team. A big thank you to all the sponsors which enabled us to look very smart in all new kit and also to all the helpers. A huge well done to all the swimmers in the Junior League Team. Another exciting gala sees Leamington make a clean sweep of the rounds taking us (unofficially) top of the table and to the final for the fifth year in a row. An outstanding achievement from all the swimmers involved. Stay tuned for the official results. A very close run gala with tough competition from both Halesowen and Bilston saw first place change several times throughout. Scores were almost level with Bilston going into the final relays but with excellent swimming by all the team, we pulled ahead for another excellent first place result. Well done to all the team. Another great performance by the Junior League team with a strong first place finish. Well done to all the swimmers! A tremendous well done to the Mercian league team who finished in first place in round one. Leamington fielded a very young side with many of the boys swimming one or two age groups above their own age. A special mention to Tom Lee Brown for his efforts in three age groups, including anchoring the open mens relay team. And a huge thank you to life member Trevor Clark for swimming as a replacement for Stuart. A fantastic start to the Junior League season with excellent racing by all the team against fierce competition. Well done to all the swimmers! On course for Round 1! Great racing by all swimmers at the Junior League Practice gala, an impressive 29 1st place finishes against some tough competition from Nuneaton A and Boldmere, a fantastic start to the 2017 season. Thank you to all the parents who helped in the running of this gala. A huge well done to all the swimmers who competed at the Boldmere Open meet, a fantastic weekend of racing by all who took part. 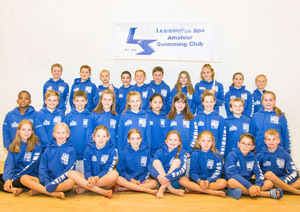 Leamington won the Top Visiting Club trophy for the second year running recording a massive 263 PBs with a 158 podium finishes and a whopping 63 gold medals. A special well done to Harrison Cook, Teigan Parker, Alex Jamieson and Laura Griffiths for making the exciting skins finals. Breaststroke favoured the girls seeing Alex and Teigan fighting it out in the all Leamington final with Teigan just piping Alex to take the title. Harrison swam his races tactically saving it to the last showdown to beat Boldmere's infamous skins veteran Joey Stanger to make it a Leamington clean sweep. Well done to our Arena League Team who finished a hard fought 3rd place at Derby. Well done to our Arena League Team finishing 4th place in a very competitive gala. Well done to this years Junior League team. A fantastic team performance throughout all the rounds including the final which was hard fought and close throughout. We managed to maintain second position until event 44 when we were just squeezed into third place by 3 points. Our final placings were third on the night and for the second year running, third in the league overall. The club would also like to thank BaByliss, James Miners Cars and an additional benefactor who made the kit possible, all the swimmers looked fantastic. A huge well done to all the swimmers in the third round of Junior League tonight. Our third successive win places us ​at the top of the table going into the final. This is an outstanding achievement for the club and all the swimmers should be very proud. 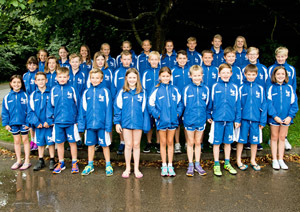 ​Well done to all the swimmers at the second round of Mercian League with 27 first place finishes, a fantastic team performance. The third and final round is on 9th July. ​Another strong performance by all the swimmers at the ​​second round of Junior League, a great result with 26 first place finishes. ​Well done to all the swimmers, the third round is on 25th June. Well done to our Mercian League Team who started the 2016 competition where we left the 2015 competition flying high. Finn finished 5th in a new PB of 2.06.71 in the Junior final at British Championships. Well done Finn from everyone at L.S.A.S.C. Well done to all swimmers at the ​first round of Junior League, a great result with 28 first place finishes. A fantastic start to this years league, ​next round is 14th May. Dazzling Dozen at the Districts! 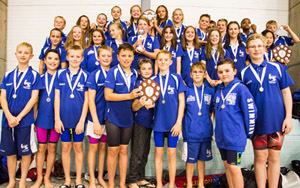 Well done to all the swimmers at the Cov & Dist Relay Gala, a fantastic result with Leamington taking home 12 first place trophies and securing second in another 12. A brilliant team performance. Well done to all swimmers at the Junior League Practice gala, an impressive 23 1st place finishes against some tough competition form Nuneaton A and Boldmere, a great start to the 2016 season. 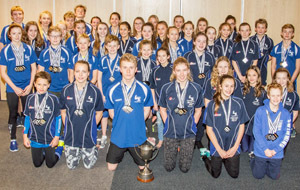 Well done to all the swimmers at the weekend at the Coventry New Year Open Meet. A chilly start saw Leamington turn up the heat to win Top Visiting Club and secure 174 PBs and 7 club records. A great weekend of racing with many Warwickshire and Midland qualifying times achieved. A packed coach left Warwick Boys after a hard morning’s training and headed to Thorpe Park. The coach arrived as the park opened and the fun seekers made their way to the scariest rides experiencing the twists, and turns of the likes of Swarm, Stealth, Nemesis and the awesome Saw ride. Those preferring not to see their life flash before their eyes (which, for most would be a life spent at the swimming pool!) opted for the more sedate log flume rides and endless cups of coffee. The queues were a little long but it gave everyone’s cheeks the chance to be kissed by the sun. The return journey developed in to a noisy game of slaps which at least kept the parents snoring at bay. Another successful trip for the club with everyone having a jolly good time and lashings of fun. Remember the BBQ on 8th September and watch out the waterpark trip coming soon. Sorry and please include your bank details ! Please see flyer for details of the next block of swim strong classes. Could all swimmers please check their bags for a named pool shirt belonging to Ysabela de la Cruz . Please let Dana know if you it. If you would like to order a named hat please e mail shop@swimleamington.org with the name you would like and your choice of colour, blue or white. Depending on numbers we may only be able to offer one colour. Cost is £10, payable on order to account ended 9268. Last date for orders is 30 March. the hats typically take 4/6 weeks to arrive. The new 50m pool at the Alan Higgs Centre in Coventry is due to completed in October 2019. The existing pool in Coventry will remain open until the new pool is ready. At present no bookings are being taken for the new pool and no costs are available, but we are in contact with the centre manger about continuing our booking. We will provide further updates when we have any further information and the squad fees will stay for the same until then. We have been asked by the management of St Nicks to remind all parents and swimmers not to leave belongings in the cubicles. Please use the lockers provided or bring bags onto poolside. Thank you. 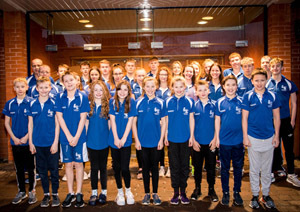 With immediate effect any swimmer that is selected to represent Leamington in a team gala will be expected to stay and support their team mates until after the last race. This is now part of the criteria for team gala selection.